This bundle comes with the H5i Heated Humidifier and the ClimateLine Tubing. 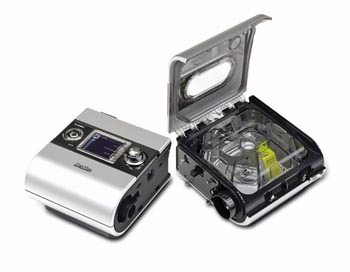 Docking Station and Unfilled Sealed Water Chamber 670 g (1.48 lb). Docking Station and Unfilled Cleanable Tub 770 g (1.7 lb). 100-240V, 50/60Hz; 110V, 400Hz; 2.5A < 140 VA (110 W) (maximum power consumption). Maximum heater element power: 90 Watts. Docking Station: Flame retardant engineering thermoplastic, plated cast aluminum. Sealed Water chamber: Injection molded plastic, aluminum and thermoplastic elastomer. Cleanable Tub: Injection molded plastic, stainless steel and silicone seal. Product complies with all applicable electromagnetic compatibility requirements (EMC) according to IEC60601-1-2, for residential commercial and light industry environments. I have always used a different website to buy my supplies, but while looking to purchase a new machine (the s9 with H5i), I stumbled across this site and saw the skins which I have never seen before. Being an avid fan of a particular team, combined with the very competitive price, I gave them a call. Admittedly, I couldn't find them much info on this company, but after speaking with the sales rep, who was unbelievably patient and helpful, I decided to give them a try. She contacted my insurance company, answered all of my questions, and worked it out so that I could get my new resmed s9 the next day with the skin pre applied. It arrived as promised, and I used it last night for the first time. All I can say is WOW! 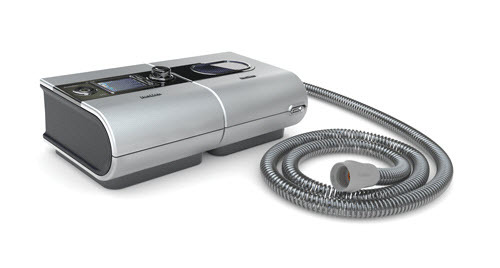 My old machine was a CPAP set at a very high pressure that made it a nightmare to use, and resulted in me using it infrequently. This machine is unbelievably comfortable and adjusts to my real time needs (which is significantly different than my old machine's setting). Additionally, combined with a simple download called SleepyHead, I can see a ton of specific information about my sleep events that will allow me to make some minor but specific adjustments should improve my outcomes even more. This was the single most magnificent purchase I've ever made. Before purchasing the S9 I was up 6 times a night. I used to think I had to wake up and go to the bathroom throughout the night, but after being diagnosed with sleep apnea I discovered that it was all an illusion, my sleep apnea was what was waking me up. 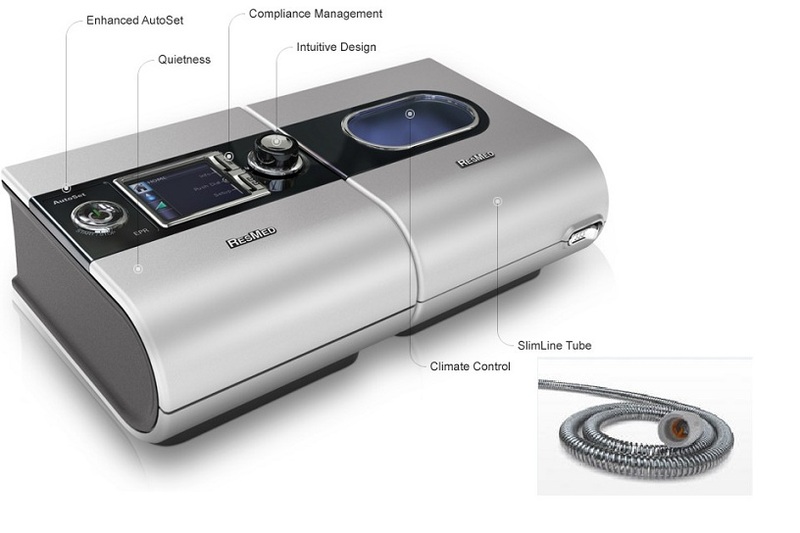 I used a regular CPAP before and I would still wake up as my pressures changed throughout the night, but now since switching to the S9 Autoset the technology has been magnificent. I have no idea what they did to improve it but however the technology works, it's allowed my pressures to change on the setting of the machine and I have not waken up in the middle of the night since I've started using the machine, except when my dogs jump on the bed barking at 5am when the wife forgets to close the office door at night and lets them into the house that early. Respironics Humidifier Replacement Tubing 18"